On an uncharacteristically sunny October morning in Humboldt County, CA, park ranger and environmental educator Julie Clark maneuvers through towering redwood trees (sequoia sempervirens) along the Elk River Trail in the Headwaters Forest Reserve. Clark, who has worked for the reserve since 1999, points out red alders and explains their importance in redwood ecology recovery, referring to them as the bandaids of the forest. She shares a map of of rehabilitated logging roads within the reserve, and elaborates on the long, storied history of the land. The Headwaters Forest Reserve, which was established in March 1999, protects some 7,000 acres of old growth redwood forest in California's Humboldt County. Photo by the Bureau of Land Management. March 2019 marks the 20th anniversary of Northern California’s Headwaters Forest becoming a designated reserve, but protections for the 7,472 acres of partially old growth redwood forest didn’t come quickly or easily — it took more than a decade of grassroots organizing to save the ancient groves, organizing that often had violent consequences. Environmentalists first organized to protect Headwaters in the mid 1980’s, noting the threat that commercial logging posed to the forest. But many point to the simultaneous, decentralized actions during the so-called Redwood Summer of 1990 as a critical turning point in the movement. Grassroots organizations like Earth First! planned a series of actions and events that summer. These efforts extended beyond Headwaters — their hope was to draw attention to increasingly detrimental logging activity across California’s North Coast, which encompasses the coastal redwood region from San Francisco to the Oregon border. But the publicity they generated around logging and forest preservation lent important momentum to the fight to preserve Headwaters. Among the thousands of activists involved with Redwood Summer actions in Mendocino County, which is directly south of Humboldt County, was Pam Davis, who says the concept for the summer of activism was inspired by the voting drives during the Mississippi Summer Project — or Freedom Summer — in 1964. 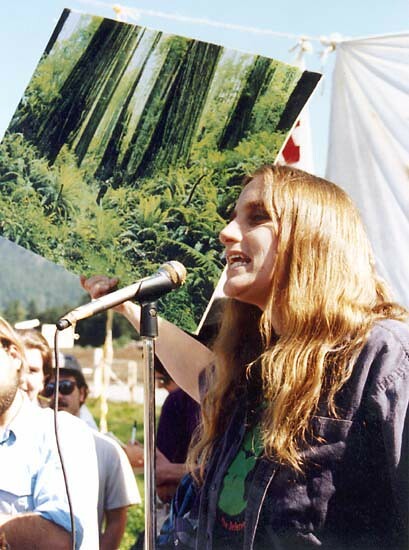 Organizers invited environmentalists from around the nation to come to Mendocino in 1990 to learn about the plight of the redwoods, to receive training in nonviolent civil disobedience, and to engage in direct action tactics, including women-led treesits to protect the region’s forests. “The whole idea was to bring attention to this critical issue, that we were down to five percent of our original redwoods,” says Davis, referencing the fact that the planet had by that point lost 95 percent of its coastal redwood forests to logging. Yet as organizers moved closer to the launch of the campaign — which would primarily focus on logging operation in Mendocino — tensions grew between forest activists and the timber industry. Bari’s background was in union organizing, a skill she utilized to educate activists about how to interact with loggers. Pickett says that before the bombing, Bari was also organizing workers at Georgia Pacific Mill in Fort Bragg; employers had discouraged them from filing workers compensation claims after they were exposed to a toxic leak in the mill. Advocating for the mill workers built a certain level of trust between Earth Firsters and the locals, but that trust diminished quickly after the FBI labeled Bari a terrorist. While the US launched Operation Desert Storm during the Gulf War, and watched the Rodney King Riots in Los Angeles unfold, environmentalists shifted their focus from the timber mills in Fort Bragg toward the rainy former Wiyot tribal lands in Humboldt County, which was becoming more vulnerable to logging. One slice of that land cradles a pristine old growth grove where the headwaters of the Elk River and Salmon Creek form before winding toward the Pacific: Headwaters Forest. Roughly 140 miles north of the Redwood Summer actions in Mendocino County, the timber wars over Headwaters Forest grew contentious. Situated along the jagged California coast, the 4,000-square-mile Humboldt county had a population of just around 118,000 in the 1990s. While the region was and remains known for its underground cannabis economy, it is the timber industry that has put food on the table for many local families in the region, a trade often passed down through generations of tree-fellers, sawmill operators, and construction workers. By the 1990s, California had lost roughly 95 percent of its redwood trees to logging operations. Photo by Tomas Sennett. One major employer in the industry was Pacific Lumber, a logging and sawmill company founded in 1863 in the small Humboldt community of Scotia. For over a century the company remained locally owned, operated primarily by members of the Murphy family, the original founders. But in 1985, the company — which owned several old growth groves including Headwaters Forest — was acquired through a hostile takeover by Texas millionaire and Maxxam, Inc CEO, Charles Hurwitz. The $874 million leveraged buyout was mostly financed by junk bonds. Pacific Lumber’s logging practices changed dramatically under the direction of Charles Hurwitz, who needed funds to pay off the purchasing debt and turned to clearcutting to do it. Employment practices changed as well. The company terminated workers’ pension plans, and some employees claimed that loggers were expected to work under unsafe conditions, often without adequate work crews, in steep and dangerous terrain. Hurwitz ordered employees to engage in practices that violated multiple environmental protection laws, like clearcutting stands of protected trees. Pacific Lumber quickly transformed into a company set on securing short term profits at any cost. 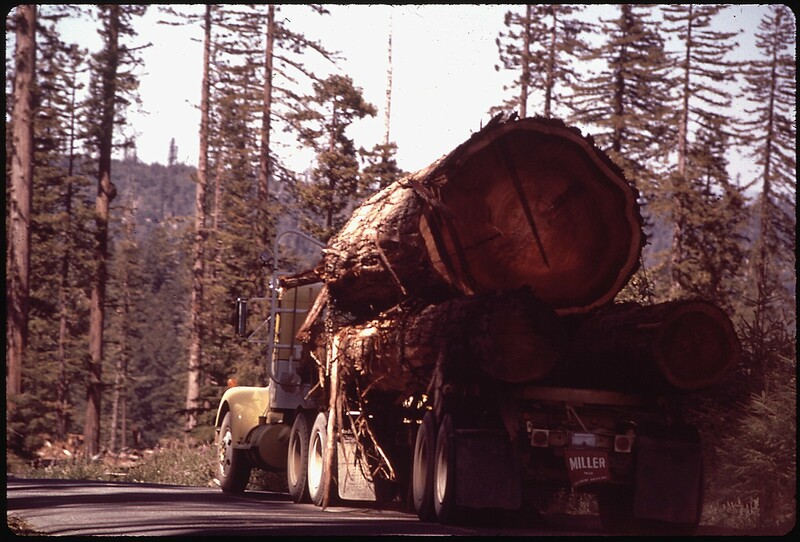 Because most of Headwaters was owned by Pacific Lumber, the threat increased. With the help of Pickett and others, the Bay Area Coalition for Headwaters was formed in 1993, comprised of representatives from several environmental groups including members from Earth First! and EPIC, the Humboldt-based Environmental Protection Information Center, which focuses on environmental litigation. The group’s sole focus was to protect Headwaters, which at the time contained some 60,000 acres of old growth redwood forest. While Earth First! activists engaged in protests, treesits, road blockades, sit-ins, and disrupting Maxxam stakeholder meetings in Houston, EPIC busily compiled and filed numerous lawsuits to stop logging in Headwaters. Word of the timber wars caught the attention of celebrities like Bonnie Raitt and Woody Harrelson, who was arrested with a group of activists after scaling the Golden Gate Bridge to hang a protest banner drawing attention to the Humboldt fight. Marches and rallies from San Francisco to Humboldt County drew thousands of people. In 1998, a surprising alliance formed: Locked out of a plant during a strike, steel workers with Kaiser Aluminum, another Maxxam company, rallied together with Earth First! to fight back against Maxxam’s abuses of workers and the environment. Eventually, the fight garnered support from big green groups like Greenpeace and the Sierra Club. Even as the movement to protect Headwaters gained momentum, it was marked with tragedy. On New Year’s Eve 1996 a mudslide destroyed 7 homes in the small hillside community of Stafford, a result of clearcutting by Pacific Lumber (the company would later settle a lawsuit out of court for $3.3 million). Bari died of breast cancer in March 1997. Later that year — in three separate incidents — Humboldt County Sheriff deputies swabbed and sprayed pepper spray directly into the eyes of logging protesters engaged in sit-ins. And in 1998, a year after Julia “Butterfly” Hill embarked on her infamous two-year treesit in a nearby redwood, environmentalist David “Gypsy” Chain was killed in the Headwaters forest when a tree cut by a logger fell on him. Still, grassroots activists continued their fight. Finally after nearly 15 years of direct action, lawsuits, and negotiations, it paid off in the form of a bittersweet agreement. In 1998, Hurwitz agreed to give up 7,472 acres of forest — just 13 percent of what activists had pushed for — in exchange for $380 million of taxpayer money as part of the Headwaters Deal, which was presided over by the Clinton Administration. Some 3,000 of the protected acres are old growth redwoods. (Green Diamond, the company that owned a small section of the forest known as “The Hole in Headwaters,” relinquished its property for an additional $1 million.) This land would become the Headwaters Forest Reserve, a protected area managed by the Bureau of Land Management. For another 8 years, activists continued blocking Pacific Lumber’s attempts at illegal logging in protected areas in Humboldt. In 2007, Pacific Lumber filed for bankruptcy. Headwaters Forest contains one of the last remaining intact old growth redwood forests in the world, and the largest under protection. The reserve is home to several endangered or threatened species, including the Northern Spotted Owl and the Marbled Murrelet, a swift-flying seabird that nests in the tall branches of the forest. Since its establishment, the Bureau of Land Management have overseen several restoration projects within the reserve, including the rehabilitation of roughly 35 miles of former logging roads and the reforestation of land once thought destroyed by unsustainable logging. Erosion control efforts have also kept sediment out of streams, ensuring optimal conditions for salmon spawning habitats. “BLM developed a really cutting-edge restoration plan on that land and deserve a lot of credit for that,” says Pickett. Conditions within the Headwaters Forest Reserve have continued improving since the forest was protected 20 years ago. Photo by Dani Burlison. According to the Headwaters Forest Reserve Annual Manager’s Report for 2017, coho salmon populations are now stable, as are Marbled Murrelet and Northern Spotted Owls numbers. The condition of the forest continues improving and repairing itself. Some of the other 52,000 acres of forests activists had hoped to save have since been preserved one way or another too, such as through conservation easements that protect old growth trees. And over the years, Clark says tensions have eased in the region. Some of the activists may not see the reserve as a win, at least not until the forest and the local economy are both in better shape. But looking back, Davis and Pickett comment on the longevity of the movement and marvel at the tireless efforts of so many to save this ecosystem. They also share advice for current eco-warriors fighting for environmental justice. “I think ‘persist’ is really the keyword I would use,” says Davis. Pickett agrees, adding that acknowledging history and learning from the complexities of various grassroots campaigns is important.